The local beer industry continues to diversify – and not just in terms of the places you'll find breweries and beer venues or in the beer styles being conceived. Increasingly, the makeup of businesses themselves is evolving, with Sydney's Hopsters Cooperative Brewery a case in point. Operating under the slogan "Don’t just drink it, live it", the plan of founder Marco Vargas and director Maya Engelbrecht is to create a brewing enterprise in which an ever-growing members own a piece of the business. “The idea came from a brewery in the US called Flying Bike," says Marco, "and I thought it was an excellent way of doing things. I came back and I said I want to do this here. Seattle brewery Flying Bike was founded in 2011 and now has over 1,800 members, as well as an operational brewery open to the public seven days a week. 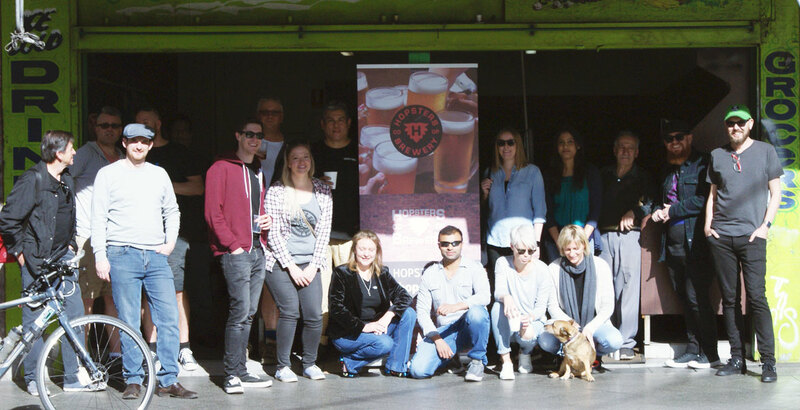 Marco is hoping to replicate the US brewery’s success, with the project taking another step forward this month as their Let's Give Hopsters A Home campaign saw them line up an Inner West Sydney location for their proposed brewery and taproom. Now fundraising switches to renovating and equipping the space. While they plan to brew out of the Enmore Road venue in time, for now they're brewing at Frenchies. 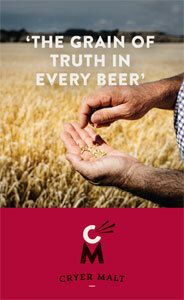 The first release is a pale ale and is set to be followed by an IPA, a saison and an oatmeal stout. “Absolutely, if we can hit $3 billion dollars that's exactly where we want to be!" says Maya when asked about similarities between Hopsters' approach and BrewDog's Equity For Punks. Maya Engelbrecht and Marco Vargas of Sydney cooperative brewing company Hopsters. Down the line, the plan, according to Marco, is to "replicate this model in other parts of Sydney. If this is successful we can open on the North Shore, and we have members in different locations. While the cooperative is the first of its kind in Australia, many other brewing companies have used crowdfunding platforms. So why didn’t Hopsters choose this option? Maya says: “We'd like to give members the opportunity first. I mean, that's why they joined. They didn't join to get a hat and a t-shirt they joined because they wanted a brewery. To date, Hopsters has attracted members from a range of backgrounds, including local brewers and passionate craft beer fans. You can find out more about Hopsters here. About the author: Hannah Louise Grugel is a craft beer-loving, Little Hop-blogging writer living in Sydney.